If you are in a life-threatening situation call triple zero (000) and ask for “ACT POLICE”. Please stay on the line until a dispatcher takes your call and police arrive. If you can, provide the full address of the location. If you don’t know the address, provide a nearby street name or landmark. Tell the dispatcher exactly what is happening so we can respond appropriately, attending police will need this information. If the emergency involves violence or injuries to yourself and/or others, our dispatchers will call ACT Ambulance to attend with police. If police are aware of offenders, they can respond accordingly. Tell the dispatcher all vital information that you know including number of offenders, gender, names, what they look like and what they are wearing. If you require police assistance or have a non-emergency including, thefts, property damage, stolen motor vehicles or motorbikes and lost property call 131 444.
where were you when the incident occurred? where did the item go missing from? full registration details if you are reporting a stolen motor vehicle. 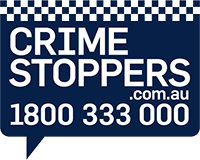 If you have information about a crime or suspicious behaviour contact Crime Stoppers on 1800 333 000 or via the Crime Stoppers website. Every piece of information is important to police and could prove vital to an investigation, leading to an arrest and prosecution. You can remain anonymous and you may be eligible for a reward of up to $1000 for any information that leads to an arrest. Commencing on 15 October 2016, Petrol Drive Off complaints to ACT Policing will be made using the Petrol Drive Off online form (PDF, 340KB). All sections of the form must be filled in and the completed form will be emailed directly to ACT Policing Operations. Other events involving mass gatherings of the community. If you require policing services at your event, or would like to notify ACT Policing of your event, please complete the Event Registration Form (PDF, 650KB). For further information on some of the legislative provisions ACT Policing is governed by when providing policing services to events visit Community Events. The Exhibit Management Centre (EMC) is a secure storage facility used by ACT Policing to preserve property and drug exhibits. It houses recovered property and also evidentiary items to be used in court proceedings. If you have reported your items lost or stolen to ACT Policing and they have advised you the items have been recovered, you can contact the EMC to collect your goods. The Australian Cybercrime Online Reporting Network (ACORN) allows you to securely report cybercrime incidents which may be in breach of Australian law. By reporting cybercrime and protecting yourself online, you can help make Australia a harder target for cyber criminals. For more information visit the ACORN website. Scamwatch provides information to consumers and small businesses about how to recognise, avoid and report scams. If you believe you may have been a victim of a scam, or someone has attempted to scam you, contact Scamwatch. If you are hosting a party at a residence or local venue it is a good idea to notify police of your event so they can assist if things get out of control. If you would like to register your party please call police on 131 444 or email us here. ACT Policing aims to provide a professional and friendly presence in Canberra. Our officers are highly trained to deal with incidents of criminal activity. With each incident there is an element of customer service and we welcome all feedback both positive and negative. If you would like to provide positive feedback about an ACT Policing member, you can do so via our feedback page. Compliments received are directed to our Chief Police Officer who will pass your feedback on to the ACT Policing member via their superiors. We welcome feedback about any positive experiences, even if you can’t recall the name of the officer. Alternatively if you are unhappy with the service you received from any member of ACT Policing in the course of their duties, you may lodge a complaint. Complaints are categorised and forwarded to the relevant area of the AFP for resolution. Read more about our complaints process.